← Who is the CSPC? This meant that unless an issue was supported by at least one councillor, council staff had the last word with no right of reply. And it was only the minority councillors (Meredith Burgmann, Shayne Mallard, Irene Doutney and Chris Harris) who raised issues. 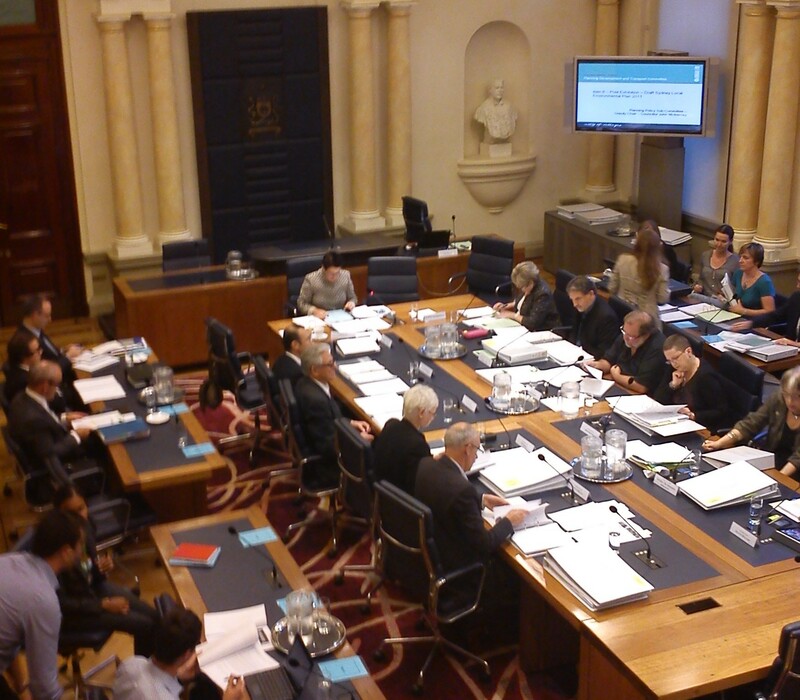 Clover’s ‘independent’ councillors barely spoke all night. The most common issue raised was floor space ratio (FSR) and building height – usually couched in terms of the application vs the buildings surrounding the site. At least one speaker invoked a threat of legal action if they didn’t get the FSR they wanted (over a site in Zetland). The city is trying to standardise its rules – and is upsetting people in South Sydney in doing so. The old South Sydney City used to allow mixed industrial – bulky goods, office space, light industrial, even limited residential in certain circumstances. This is all being rezoned (dezoned, one speaker said) so that many current uses will no longer be allowed. There was the claim made that it is being selective in doing so – favouring Green Square over other nearby sites. Impacted sites include South Sydney Corporate Park and the Bunnings on Gardners Road. Council said that there is a need for areas for “noisy and dirty work”, and it seems that these are to be it. Michael from FOE spoke, pointing out that other councils are lowering their FSR ratios (at least in part in response to a change in the FSR formula which makes the calculation more generous to developers), pointed out that the studies being relied on are out of date, and called for new studies and a delay. He also pointed out that 9+ stories is not fitting in with the surrounding area. Council’s response to the last point was to say that they only try to find fit with the surrounding area in heritage areas, not with ‘brownfield’ developments (replacing existing buildings, instead of building in empty (green) fields). Irene expressed concern that we are facing the “Slow erosion of villages. Precedents get set and slowly the whole village changes”. Clover responded that council is committed to the ‘Village Character’ statements. Meredith raised the concern that Council have been adding the words “including interiors” to heritage listing statements. The official response was that this doesn’t change anything. There was discussion, but I didn’t feel that there was a clear resolution either way. There is another meeting tomorrow night (Thursday), this time of the CSPC (Central Sydney Planning Committee), which will cover a lot of the same material, as will a full meeting of Council on Monday.